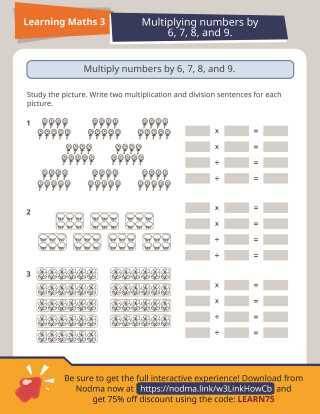 Brought to you by Nodma, this printable from SAP Learning Math Grade 3 will help students practicing multiplying and dividing by 6, 7, 8, and 9. Using the illustration on the worksheet as a guide, students are asked to write two multiplication and division sentences for each picture. Get this fully interactive Learning Math course for $14.95 with a 75% discount using the code LEARN75. 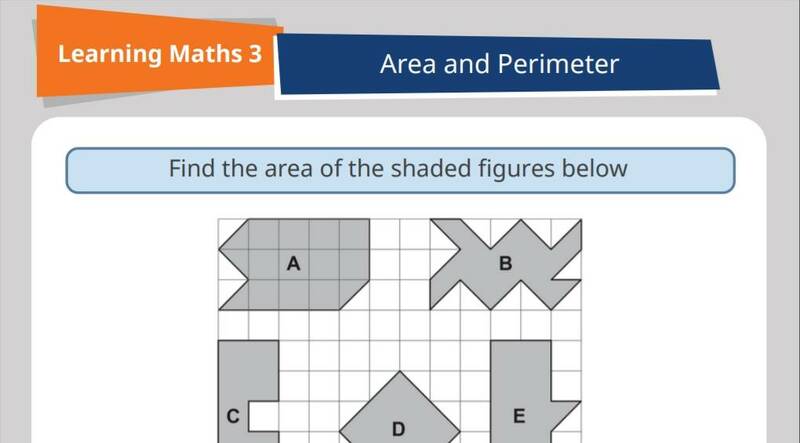 This resource from SAP Learning Math Grade 3 courseware is brought to you through the collaboration of Singapore Asia Publishers (SAP), authors Alan Tan and Tina Myung and Nodma. SAP has helped millions of students excel in curriculum-based learning in more than 60 countries by developing a hybrid of both traditional print and digital content. And check out these other engaging interactive resources from Nodma! SAP Learning Math Grade 3 is an engaging interactive workbook that makes math easy to understand! Specially developed for kids who struggle with learning math, it provides students (and teachers and parents) a summary of learning objectives, practice worksheets for checking/recalling important math formulas, exercises for becoming familiar with various types of assessment questions, non-routine questions for developing analytical skills and carefully worked out step-by-step solutions. What's amazing about this courseware is the gradual presentation of lessons and the numerous practice tests it includes that will facilitate better absorption of the mathematical lessons for young minds and also ensure that multiple concepts are understood.